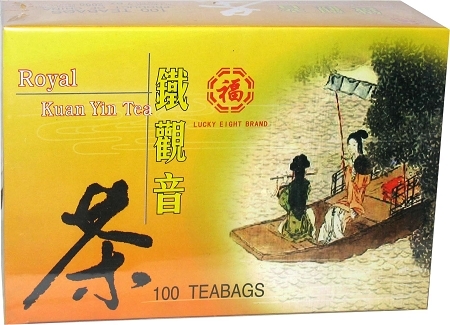 A legendary oolong tea from the Fujian province of China. Ti Kuan Yin is one of China's most beloved oolongs and is extremely time-consuming to produce (well over a dozen distinct steps in the processing are observed). It has less than a quarter the amount of caffeine per cup than in a similar-sized cup of coffee and is believed to have a slimming effect on the body.